UPDATE: Mayor Sylvester Turner declares October 9, 2018 as "KHOU-TV Day" in Houston. Coming to you live from Avenida Houston, it’s KHOU! That’s right. 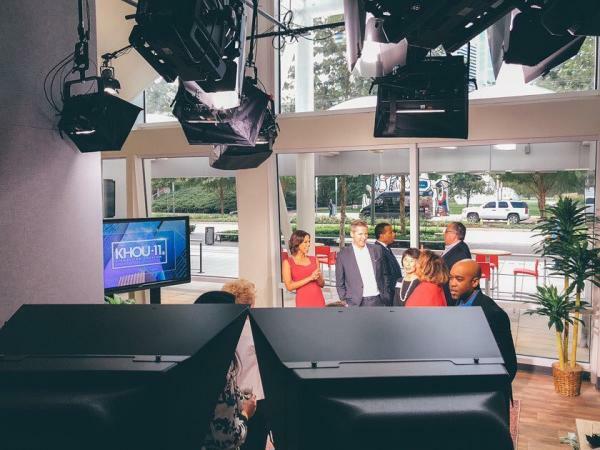 The downtown Houston area welcomes its latest, one-of-a-kind additions with the opening of the area’s first satellite news studio, KHOU Avenida Studio. The CBS news affiliate plans to use the Avenida Houston studio multiple times per week to broadcast across all dayparts, including Great Day Houston, KHOU 11 News and other programming and specials produced by the news station. “The heart of the campus is the Avenida Plaza, which in addition to dining, nightlife and inspiring art installations, is now home to KHOU’s Avenida Studio. We could not be more excited,” shared President and CEO of Houston First Brenda Bazan. Located on Avenida de las Americas, the Avenida Houston studio is roughly 780-square-feet and has one of the most scenic views in the area. Just picture a view of green park space, sculptures and downtown activity. Aside from the picturesque view, the central location enables the KHOU news crew to engage with the public directly and places the reporters and anchors at the center of major events happening in downtown Houston. “We will be right in the thick of the action when the Astros and Rockets play their home games, plus we’ll have easy access to cover all of the great programs and events at Discovery Green Park,” stated Susan McEldoon, president and general manager of KHOU. The newly-designed space, positioned in the center of the Avenida Plaza, is easily spotted with wall-wide murals inside and outside by local artists Lauren Luna and Jose Arredondo, aka Meenr_One. These murals are on the front windows of the studio and the interior walls of the GRB. KHOU opened on October 1, 2018. 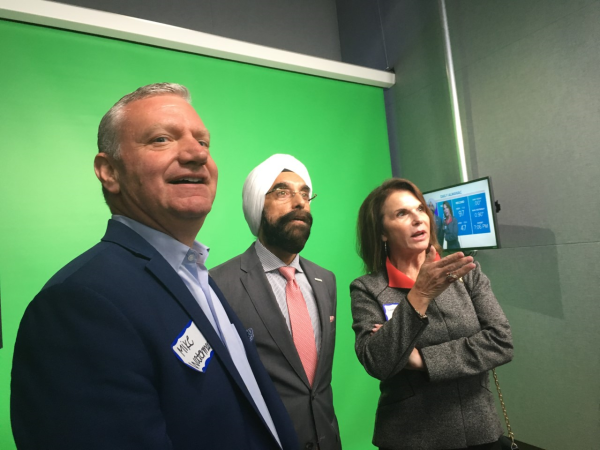 Houston First Corporation and the CBS-affiliated television station KHOU 11 announced the formation of their partnership to deliver the first network satellite studio in the area back in December 2017.